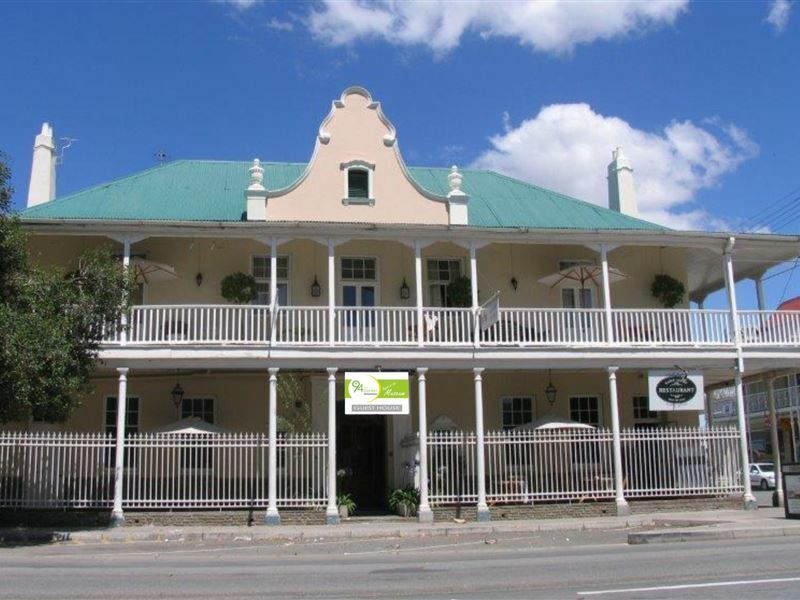 The 94 on Donkin is located in Beaufort West, and offers affordable accommodation in a Colonial-Victorian building that is 130-years old.<br /><br />This guest house has 13 comfortably furnished en-suite rooms. 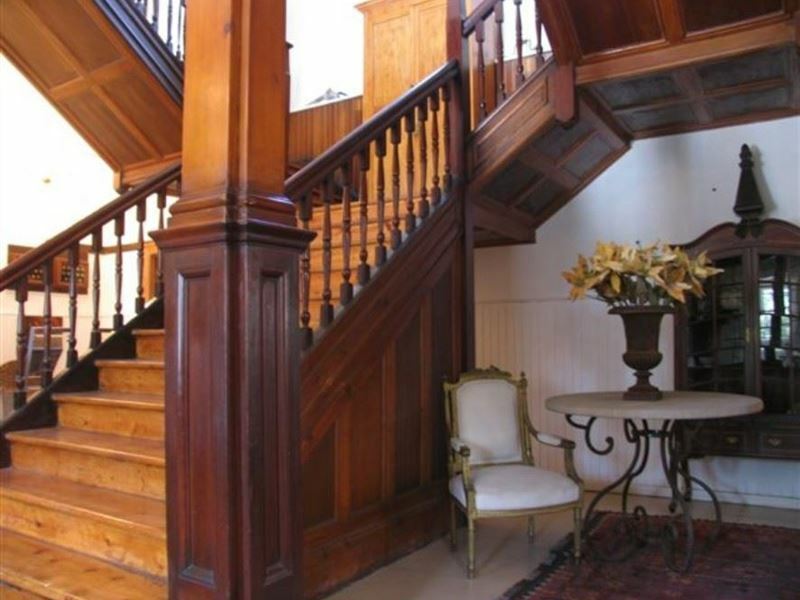 A grand staircase leads guests to the first floor. 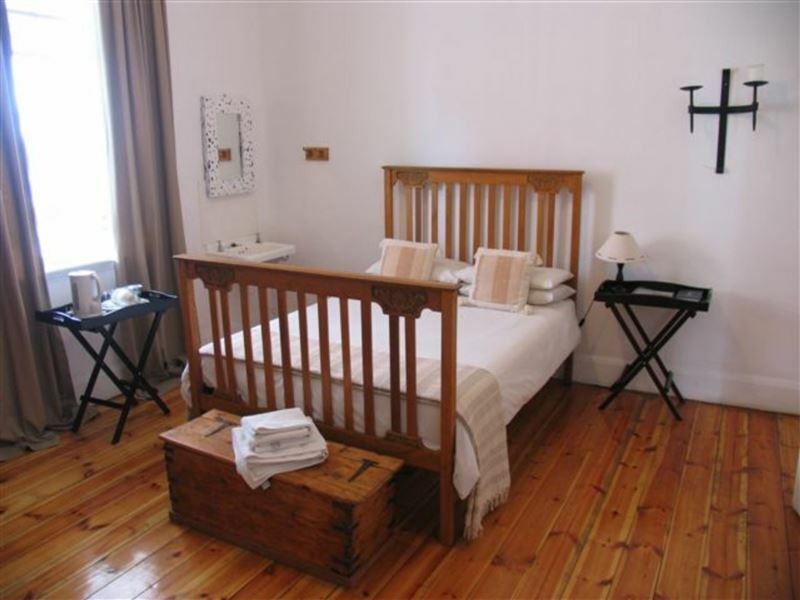 Each room offers private bathrooms, comfortable beds, TVs and tea and coffee trays. 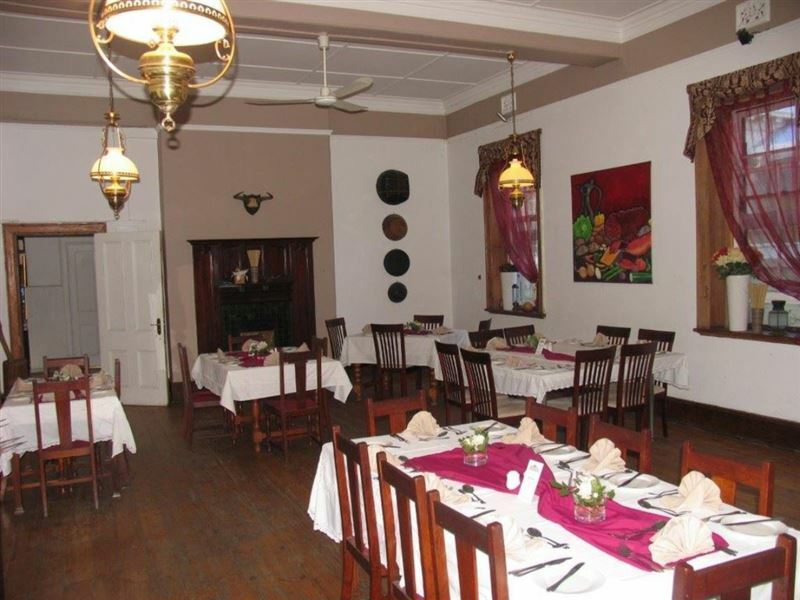 <br /><br />There is an on-site restaurant and bar, where guests are welcome to enjoy a drink or delicious meal. Guests are welcome to enjoy the sparking swimming pool on those hot karoo days. "We enjoyed our stay. We did a few cockroaches in our room though"
"There was a really great feel about the old hotel. I loved the hard wood floors with the white walls. The rooms were clean, spacious, and very well decorated. I really enjoyed it." "It was 41C in Beaufort West when we arrived but much to my surprise had to pay additional fee for using the aircon!! R5 per hour! !paid for 6 but was not enough. Not using them again." "Swimming pool was nice. Middle bedroom matress should improve"
"Loved the "old world" original interior. Staff were very friendly." "Unfortunately it is not the ideal sleepover place for tired travellers with 8hours on the road behind them. We left at 3 the morning after giving up on trying to sleep with all the trucks passing and stopping at the robot right next to the hotel." "My girlfriend and I stayed the night at 94 on Donkin on our way from KZN to Cape Town. The old building is very beautiful and we enjoyed our short stay. The staff were very friendly and told us about places we could go for a bite to eat that evening. In the morning we enjoyed some coffee on the wrap-around balcony overlooking the main street and the beautiful old churches. We then went downstairs and ate a delicious breakfast during which we were served by the owner of the establishment who was very courteous and helpful. He shared some of the history of the establishment with us and we left full and happy. 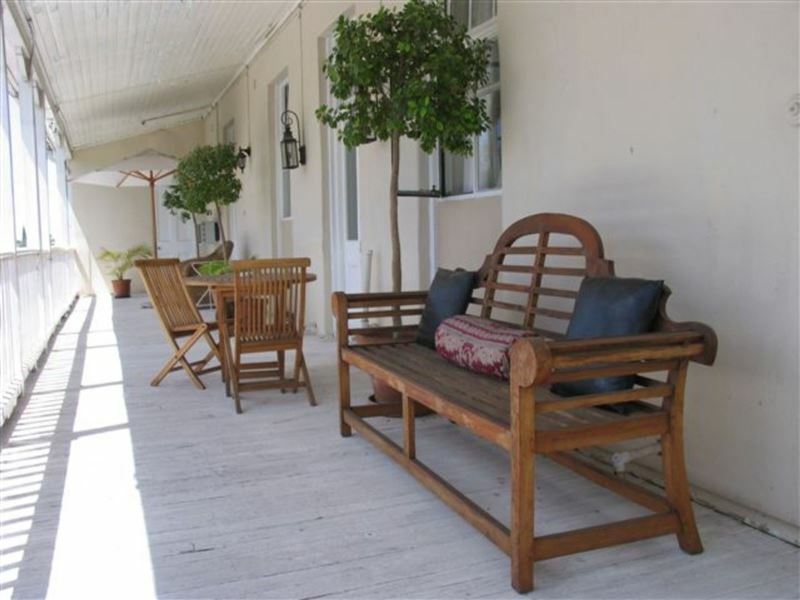 I&apos;d recommend 94 on Donkin as a good place to stop when travelling through Beaufort West." "Building is old and unkept. Photos on website are very misleading. room dirty and dusty. Very noisy with passing traffic all night. NOT a good stop over place if u want to get a good rest before a long day of driving." "Hotel clean and efficient. Aircon could hardly cope with the heat! !Noisy from trucks travelling through all night long so bring earplugsGood value for money"
"I read all the reviews on this place but whilst most of it is true i really enjoyed my stay. It is very comfortable with lovely large rooms. Hosts very welcoming. Lovely shady green garden at back by pool to relax after hot journey."